Many of my little patients have food allergies. When brainstorming ways to substitute foods they are likely to have an allergic reaction to, I look for alternatives that are at least as nutritious as the food they have to avoid. Some flavors and textures are more difficult to replicate than others and the beloved p&j sandwich is definitely on that list! Fortunately, companies have been finding new ways to give kids all they love about PB&J without the trauma. 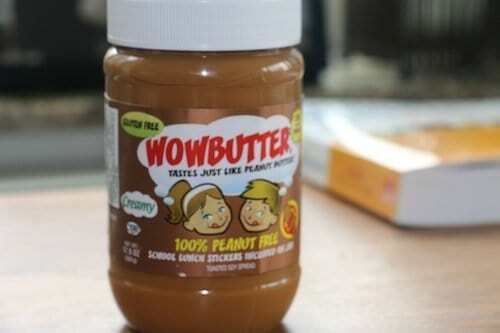 One of such companies, WOWBUTTER, recently sent me their product for a review and I was pleasantly surprised to see that this completely nut-free soy-based spread has lots of good nutrition and tastes just like peanut butter! Keep reading to find what we prepared with it and how you can win 6 jars of this yummy spread. WOWBUTTER is a soy-based spread made from non-GMO Canadian toasted soybeans, non-GMO soy oil, granulated cane sugar, fats from palm oil and sea salt. Because this spread is completely nut-free, it is definitely safe if someone in your family has a peanut or tree nut allergy and it makes a great lunchbox staple for a nut-free school or preschool. Offering roughly the same number of calories and protein per serving as peanut butter, WOWBUTTER trumps other nut butters when it comes to Omega 3 content since soybeans and soy oil are naturally high in a plant variety of Omega 3 fatty acids. WOWBUTTER contains 25% more of omega-3 fatty acids than other nut butters even after fortification (1200 mg versus 900 mg in fortified peanut butter). Peanuts, almonds and cashews, unlike soy, are not the best sources of these healthful polyunsaturated fats. Because it contains no nuts, WOWBUTTER is a safe for those with food allergies to nuts and tree nuts and is a perfect lunchbox staple for a nut-free school or preschool. Here is a chart comparing nutrition in WOWBUTTER and a few nut butters. * These spreads have added sugar. Some types of peanut butter have no added sugar, make sure to read the ingredient list. 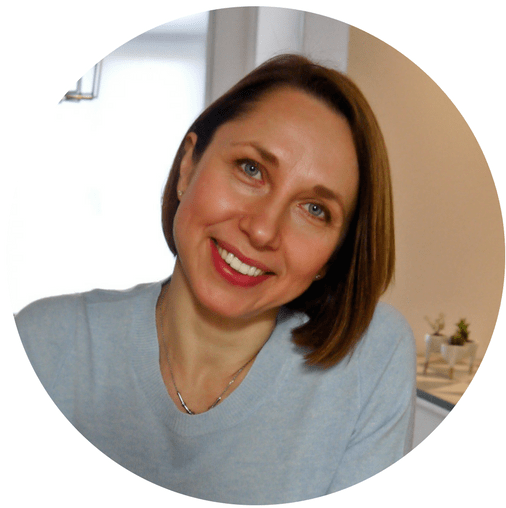 WOWBUTTER has some added sugar, about a teaspoon in one 2 tablespoons serving, which is something to be mindful of if you are using it in place of a regular nut butter without added sugar. 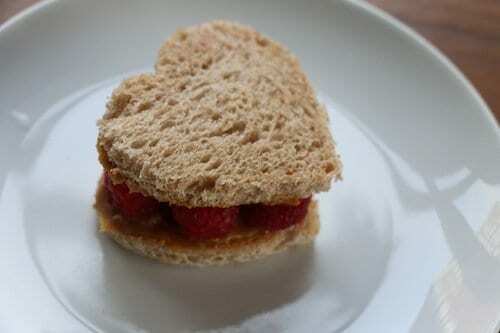 The good news that since it tastes sweet, you may not need jam to to make a delicious sandwich. Try spreading WOWBUTTER on whole grain bread topping with some mashed up fruit or berries, instead of jam, to bring down the total added sugar content of the meal. 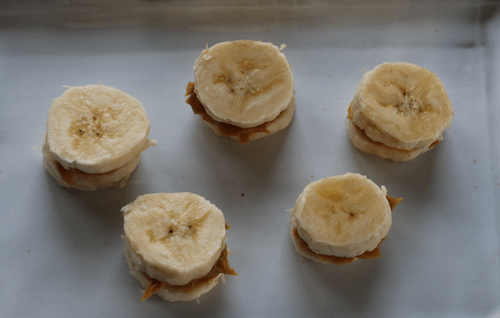 Needless to say, you can prepare exactly same snacks with a regular peanut butter, almond butter or cashew butter if there are no food allergies in your household. To win a pack of 6 jars of WOWBUTTER (500g each), enter the giveaway below. Mandatory entry: Leave me a comment sharing your favorite way to eat a nut or nut-free butter. LIKE Tribeca Nutrition on Facebook. When entering, be sure to include your email address in the “Email” field when posting your comment so I can let you know if you won. You do not need to purchase anything to win. Only open to legal residents of the 50 U.S. states, D.C. or Puerto Rico, and you must be at least 18 years of age to enter. WOWBUTTER has sponsored the prize offered and is responsible for shipping. I received a free sample of this product for a review. All the views expressed above are my own. This may sound weird, but I love making peanut butter and raw, fresh spinach wraps on lavash bread or in a pita pocket. 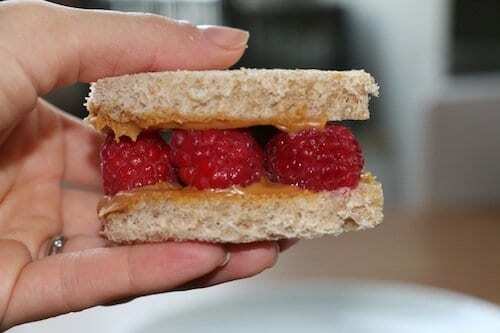 It’s such an easy, nutritious, and tasty snack. My PN/TN ANA daughter is over the moon about WOWBUTTER. Her school is peanut free. She was able to bring this product in to share with her class and enjoy being a part of a traditional snack. We spread it on Sammie’s and use it to dip apples, pretzels, and Chocolate. What a fantastic product! It keeps my daughter safe and allows everyone to enjoy a yummy snack. We love Wowbutter for sandwiches. I asked my local grocery store to stock it! I already like WowButter on Facebook! Found out at 15 I was allergic to all nuts 🙁 I so badly missed the taste of Peanut Butter, but thankfully Wowbutter was invented, and I don’t feel like I am missing out anymore! I love Wowbutter on Toast sprinkled with sunflower seeds for an extra nutty taste! Or in a Wowbutter and chocolate chip cookie. WOWButter is the absolute BEST! I have an 11 year old who is peanut/tree nut allergic and we have kept a nut free home since his diagnosis in 2005. My husband and I missed real peanut butter very much, but every other safe product we tried such as sunflower butter or other soy butters were not very good. We had pretty much given up, but decided to give a substitute safe product a try. Boy am I glad we did. WOWButter is amazing, delicious, and works to both eat directly and cook with. WE LOVE IT and are so happy to have found it. I recommend WOWButter to anyone and everyone. I no longer have to miss peanut butter at all. 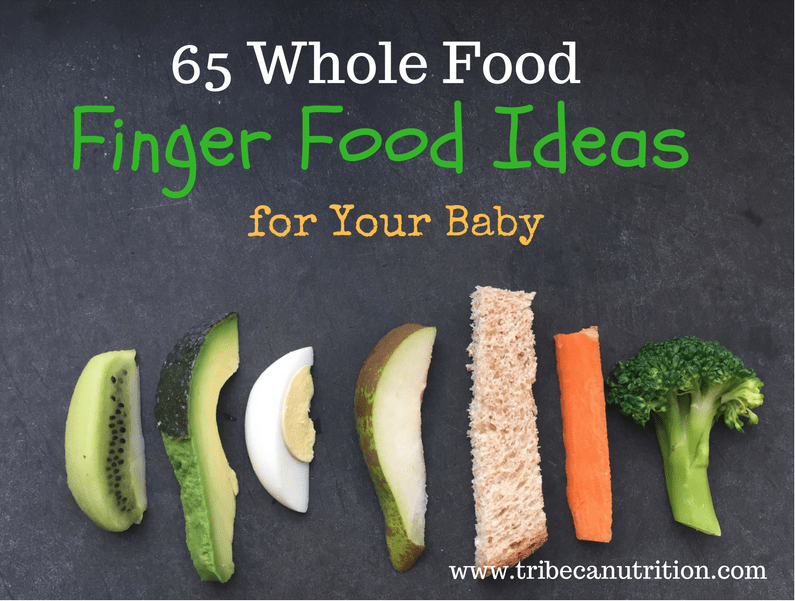 There is no bad way to eat it, but I will share my husband’s favorite way. He mixes a tablespoon into vanilla yogurt or into chocolate pudding for an extra special dessert treat. Thanks so much WOWButter!!!!!! I liked WowButter on FB. I liked Tribeca Nutrition on FB! Emily does not have Twitter. We love WOWButter so much, I wanted to share another idea for using. We have used WOWButter as a substitute for PB in the recipe for BUCKEYE BALLS. This makes a perfect substitute treat for kids who cannot eat Reese’s PB cups, but want to try something just as good. We tried pre made substitutes with sunflower butter from the store, and they tasted like we were eating chocolate covered sand. The ones we made with WOWButter, on the other hand, were moist and delicious. Truly a treat, and the fact that they were safe for my severely allergic son was simply joyful for our family. I already like WOWButter on FB! Love the recipes they post. I look liked and look forward to following your posts on Tribeca Nutrition on FB. I just learned about Wowbutter this year at my local FARE walk where I received a sample and was able to have my first PB & J in 8 years due to peanut and tree nut allergy. I was over the moon when I discovered Wow Butter! My daughter is peanut/tree nut allergic and I was addicted to PB! 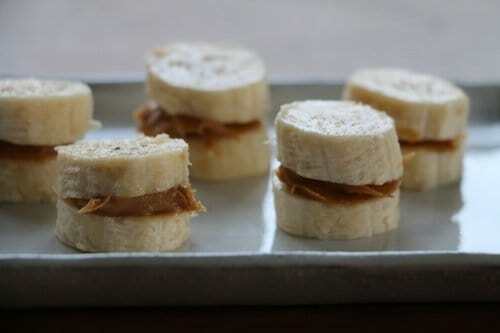 Now we can all enjoy Wowbutter and banana sandwiches and it works in all my recipes that called for PB. I LOVE it! I like my toast with nut butter and banana slices on top. If I’m going really crazy I will put chocolate sauce on top as well! Already liked Wowbutter on Facebook. 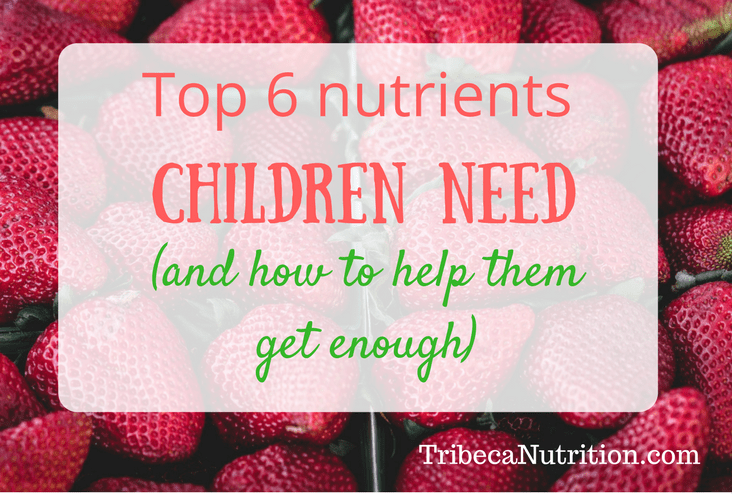 Liked Tribeca Nutrition on Facebook! I liked Wow Butter on fb! I actually put it in refrigerator oatmeal. Packs in the nutrition and gives it a yummy taste. I LIKE WOWBUTTER on Facebook. I LIKE Tribeca Nutrition on Facebook. On apples, crackers or on the spoon! And the winner of our WOWBUTTER awesome giveaway is…. Sara! Congratulations, Sara and enjoy your yummy prize!